Kevin Lee will anchor NBCSN's coverage of Indianapolis 500 final practice, the Indy Lights' Freedom 100 and TAG Heuer Pit Stop Competition. Robin Miller, Paul Tracy and Townsend Bell will serve as analysts with Katie Hargitt, Jon Beekhuis and Marty Snider as pit reporters. Allen Bestwick is the lead announcer for ESPN on ABC broadcasts for the second consecutive year alongside analysts Scott Goodyear and Eddie Cheever Jr., Rick DeBruhl, Dr. Jerry Punch and Jon Beekhuis are the pit reporters. Radio broadcasts: Mark Jaynes is the chief announcer alongside analyst Davey Hamilton. All Verizon IndyCar Series races are broadcast live on the Advance Auto Parts IndyCar Radio Network, Sirius 212, XM 209, IndyCar.com, indycarradio.com and on the IndyCar Mobile app. Verizon IndyCar Series final practice session is available on IndyCar.com, indycarradio.com and the IndyCar Mobile app. IndyCar Mobile App: Verizon Wireless puts fans around the world in the driver's seat with its IndyCar Mobile app. The app has been enhanced with new features to keep fans in the know of the latest race-day action. Exclusive features of the IndyCar Mobile app for Verizon Wireless customers will stream live through the app and include enhanced real-time leaderboard and car telemetry; the ability to follow the race in real time with the interactive 3-D track; live in-car camera video streaming for select drivers during Verizon IndyCar Series races; live driver and pit crew radio transmissions during races; and live Advance Auto Parts IndyCar Radio Network audio streaming during all track activities. Pippa Mann qualified 25th for the Indianapolis 500. She's the lone female in this year's field. This is the 17th consecutive year a female has qualified for the race. 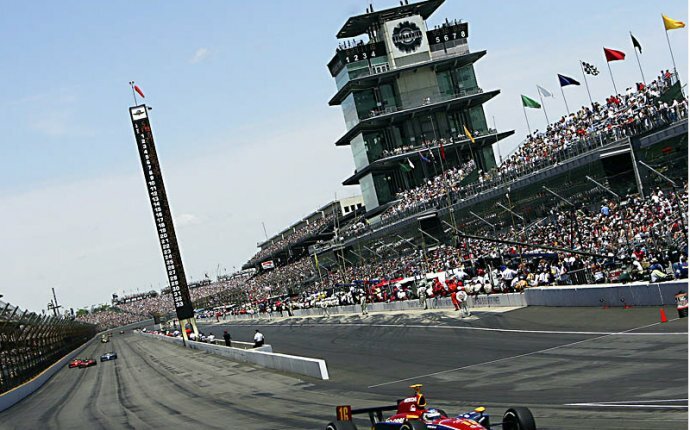 - The Indianapolis 500 will be the 100th 500-mile Indy-car race conducted on the Indianapolis Motor Speedway's oval. Ray Harroun won the inaugural race in 1911. Juan Pablo Montoya won the race in 2015 to become a two-time winner of the 500. - There have been three different winners in five Verizon IndyCar Series races in 2016. Simon Pagenaud has won the last three (Long Beach, Barber and Grand Prix of Indianapolis). Juan Pablo Montoya (Streets of St. Petersburg) and Scott Dixon (Phoenix International Raceway) were the other race winners. - James Hinchcliffe stopped a streak of pole winners from Team Penske in 2016 by winning the Verizon P1 Award for the Indianapolis 500. Simon Pagenaud (Barber and Grand Prix of Indianapolis), Helio Castroneves (Phoenix and Long Beach) and Will Power (St. Petersburg) earned Verizon P1 Awards through knockout qualifying. - Six drivers entered have won the 500. Helio Castroneves has won the race three times (2001, 2002 and 2009), while teammate Juan Pablo Montoya has won the race twice (2000 and 2015). Buddy Lazier (1996), Scott Dixon (2008), Tony Kanaan (2013) and Ryan Hunter-Reay (2014) are the other former winners entered. - Kanaan has finished in the top four in three of the last five Indianapolis 500s, including his win in 2013.